Accountants’ crunch numbers, marketing gurus sell tickets and players play the game. They all contribute to a successful bottom line and if each executes with precision everyone, including the fans, will go home happy. Football is an emotional game and nowhere is that more evident than on the field where passion and pride equal a winning formula. 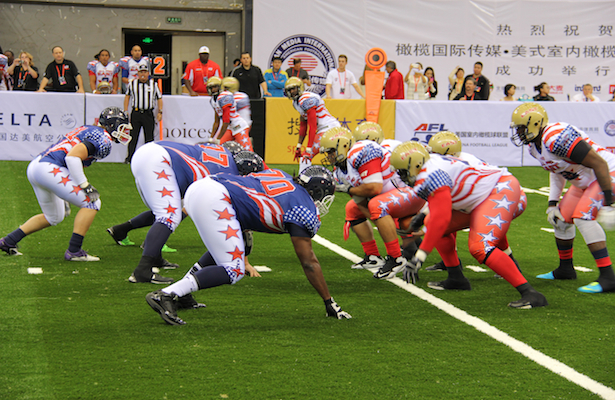 Will American Arena Football take hold in China in the newly formed CAFL? The players think so for a variety of reasons. 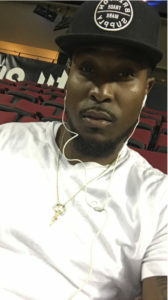 James Romain, defensive back for the Beijing Lions hopes that the roots of China’s culture will help the CAFL take hold. “Football is an exciting sport that brings unity as well as teaching discipline working with other people. The Chinese culture is about unity. Football will be another outlet for entertainment also,” Romain said. 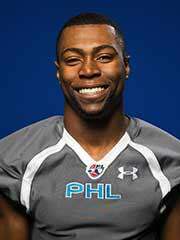 Wide receiver Tristan Purifoy of the Shenzhen Naja has dedicated his life to the game. He hopes the fans will take their team to heart. ” Football will succeed in China, because I have committed my energy and time in training to this game! After completing some research, seeing China with their first college championship, the expectations were surreal! With the funding and marketing of the CAFL, the potential for this organization will be substantial! In reality, you have to have a game plan for success. Wide receiver Duane Brooks of the Guangzhou Power is aware of the groundwork and now will be one of the players who puts it all into action.